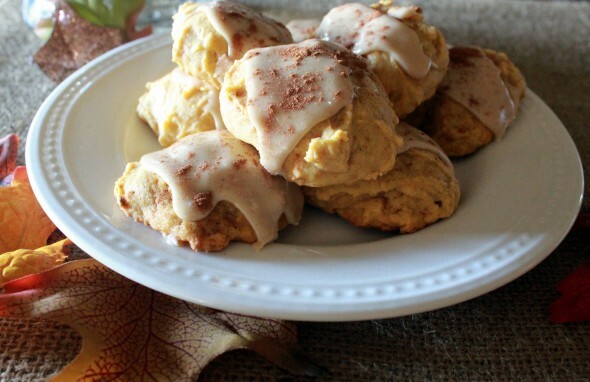 On my fall to-do list is to bake up a storm of pumpkin goodies. These were first on the list. 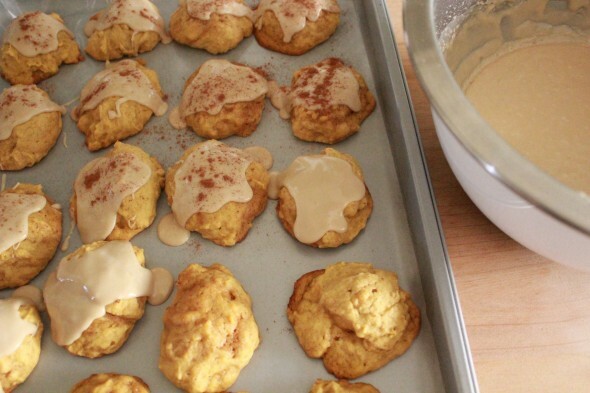 They should really be called Pumpkin BUTTER cookies with the amount of butter that is in them. Oh well, tis the season! I will say, these tasted and looked very similar to these cookies except without the chocolate chips but with frosting. 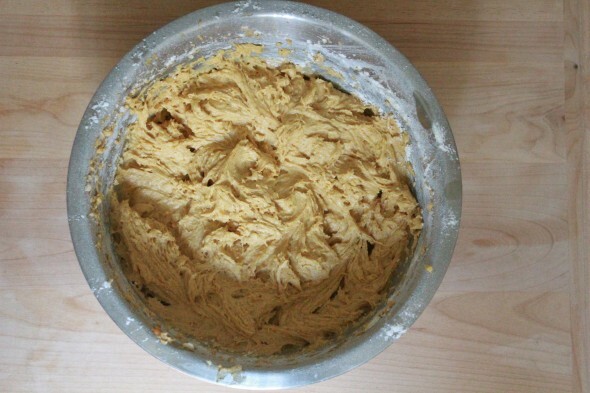 Speaking of frosting, the recipe image made the frosting look all thick and nice. I have no idea how they did that with the amount of milk they call for. I was about to dump the entire box of confectioners sugar into the mixing bowl to stiffen up the frosting. Then I just decided to put them in the fridge so the frosting would harden and not be so runny. A whole box of confectioners sugar, or not, these were very, very delicious cookies. And the recipe makes a ton! That’s always a win in my book! Also, these cookies were in the fridge for over a week and they were as moist on day 8 as they were on day 1. Oh my!! These look amazing, thinking I might be making them in the very near future!